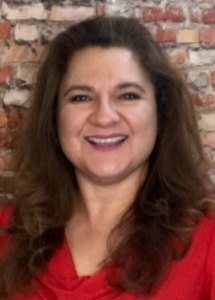 Jennifer Navarrete is a speaker, event and social media community organizer. She has spoken at social media, entrepreneur, business and non-profit events across the country. Her work in the social media community was recognized by the Austin-American Statesman with a Texas Social Media Award. She is active in a number of social media communities: Founding the San Antonio Podcasters Group, Co-Founder of the San Antonio Chapters of both Social Media Club and Social Media Breakfast. In addition to community groups, Jennifer is also no stranger to herding cats aka organizing unconference events. From PodCamp, Barcamp, Startup Weekend, TweetCamp and Mobicamp she has been at the forefront of bringing these participant-driven events to the Alamo City. Over the years, Jennifer has been featured in television and newspaper interviews on topics from mobile technology, conference events to social media trends. She was also the focus of a Social Media Profile series. Additional information can be found on her LinkedIn profile. Jennifer currently provides podcast production, social media and live video event services to agencies, entrepreneurs and non-profits through her company, Brewing Media. Whether your company is starting from scratch or rebranding and existing online presence, our team is well-versed in every facet of social media branding to ensure your company has a consistent look and feel across the web. Your idea for an online radio show + our experienced podcast production and voice talent team = winning combination. If you can talk on a phone, then you can start your podcast today! Livestream your event or capture interviews inside the Social Media Lounge. Video is the key to successfully capture organizer, sponsor and attendee content to share before, during, and after your next event. Video is the new content creation frontier.